Dealing with a fungal infestation in your home is something you should never attempt to clean up on your own, instead call the mold removal Canton professionals at 911 Restoration of Jackson and they will assist you. In order to provide you with the most fast and efficient service possible, we are available 24/7/365, which makes it easy for you to schedule an appointment with us anytime. As soon as our water damage Canton techs arrive on the scene we will provide you with a free visual mold inspection, ensuring that both parties are on the same page concerning the extent of the damage. We are licensed, bonded and insured to implement well-rounded services that deal with both mold removal and water cleanup, so call our mold removal Canton staff today. 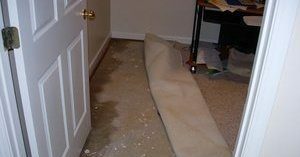 Once our water damage Canton pros know for sure that mold is indeed growing in your household, homeowners need to stay away from the infested area and wait until we arrive on the job. We never want you to clean up the fungus on your own since there are many different types of mold with some being detrimental to your health upon exposure. In order to get your home properly sanitized, our water damage Canton techs know exactly what steps need to be taken and how to implement those steps safely. We also test your mold so we can determine exactly what type of fungus is living inside the property. There is a big difference between harmless pink mold and dangerous black mold, so we take proper mold removal and testing very seriously. Even though finding mold is not necessarily an emergency, our water damage Canton pros take immediate action as soon as we are on the scene, so call us today! Our customers are always our top priority, and our mold removal Canton specialists will do whatever it takes to prove our dedication to you and your home. We want to keep those living in your home protected from these health issues, so our mold removal Canton pros will always provide you with fast and efficient service. Our water damage Canton techs always use top of the line equipment, including professional grade sump pumps, wet vacs, air filters, and vapor barriers that help us get your home decontaminated in no time. 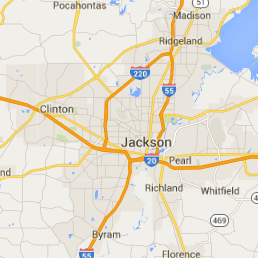 Call our mold removal Canton crew at 911 Restoration of Jackson when you need top of the line fungus eradication services and we will get you on the path to a fresh start.